What is an Air Fryer and do you need one? Have you heard about this kitchen appliance that cooks with hot air and very little oil? The Air Fryer is trending among individuals and families who are working towards making healthier eating habits. You might be wondering, which air fryer should I buy? 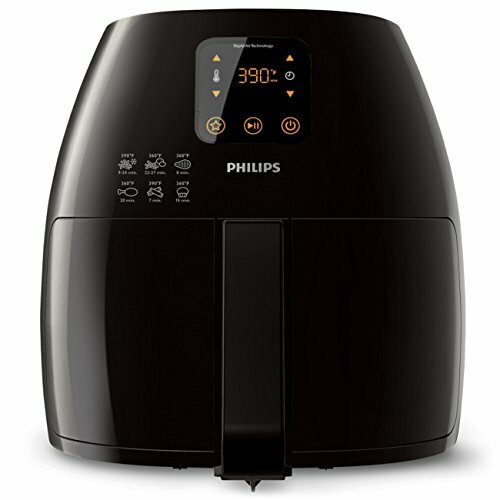 Keep reading as we will give recommendations in this post and throughout this Air Fryer series. 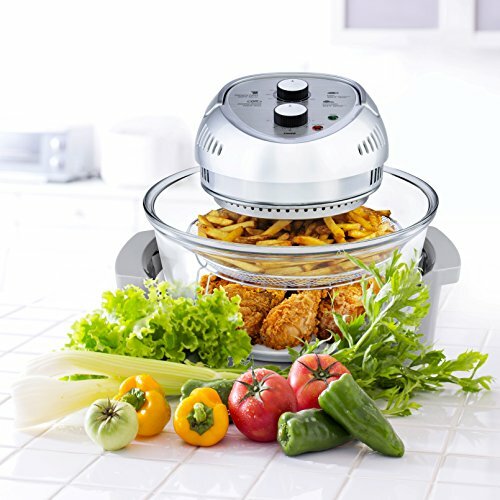 Air Fryers claim to allow you the guilt free pleasure of enjoying all your favorite foods without the added fat. There are loads of Air Fryer recipes on our site for you to enjoy. An Air Fryer is a cooking appliance that circulates hot air around the food like a deep fryer uses hot oil to circulate around food to cook it thoroughly. 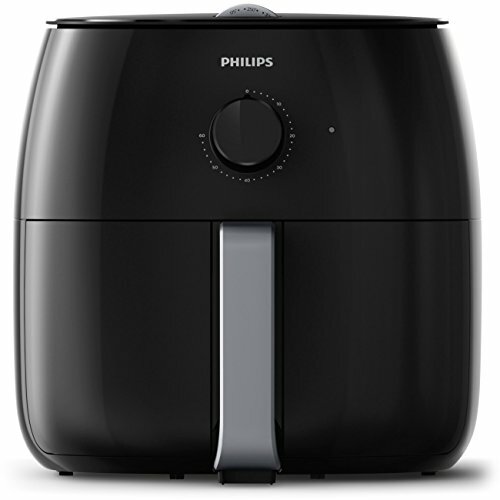 The new Philips XXL Air Fryer claims to use up to 90% less fat and cooks 4 times faster than an oven. The biggest benefit of an air fryer is that you can “fry” your favorite foods with hardly any oil. 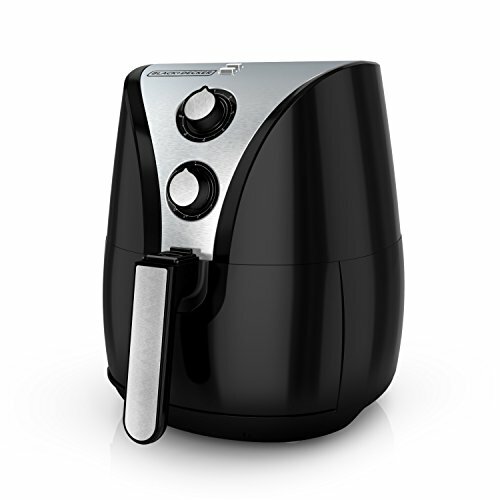 The Air Fryer uses about a tablespoon of oil to give you crispy food without the loads of added fat. 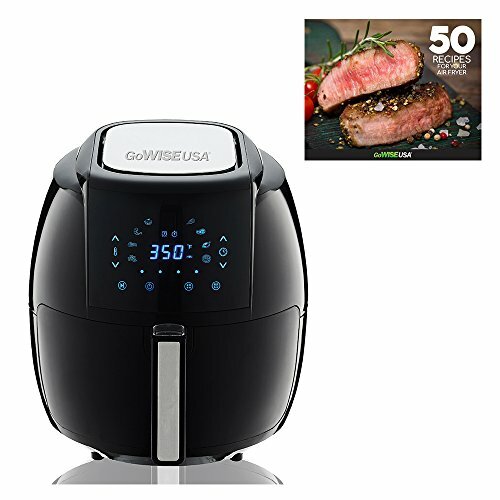 The Air Fryer uses hot air in combination with high-speed air circulation and a top grill to surround food with heated air to cook all of your favorite fried foods quickly and evenly. 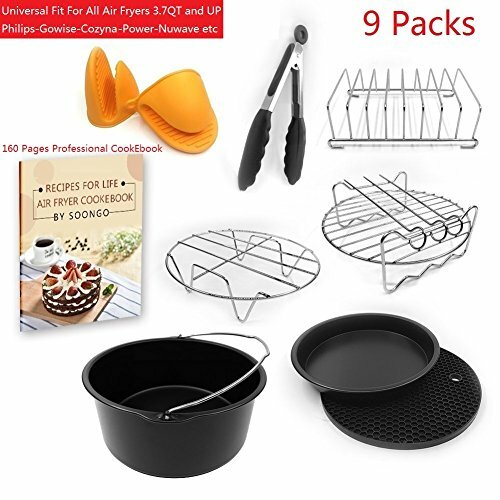 Most Air Fryers come with a recipe book, fryer basket and some come with extra accessories like a toaster rack, skewer rack and extra fryer baskets. Accessories can also be purchased separately. According to HealthLine , there is a chemical reaction known as the Maillard effect which occurs between an amino acid and a reducing sugar in the presence of heat used in Air Fryers. This leads to alterations in the color and flavor of foods. We all know that deep fried foods are loaded with fat. Air Fryers drastically reduce the fat in our favorite deep fried foods by using hot air and as little as on tablespoon of oil. When it comes to Air Fryer cooking, using the device is easy but there are a few tips that will help your food turn out even better. Do not overcrowd the cooking pan. Air fryers work by circulating hot air, so the more crowded the pan, the less crisp food will be. For example if you are making french fries, it’s better to cook 2 smaller batches than one big batch. Shake it up. If you have more than one layer of food, plan to shake the basket to get the most even cooking. Foods like fries and popcorn chicken do best when given a shake every 5 minutes or so. Parchment paper. While not required, these special air fryer parchment papers make clean up a breeze. Want to convert a traditional recipe to an Air Fryer one? Check out this Air Fryer Calculator. 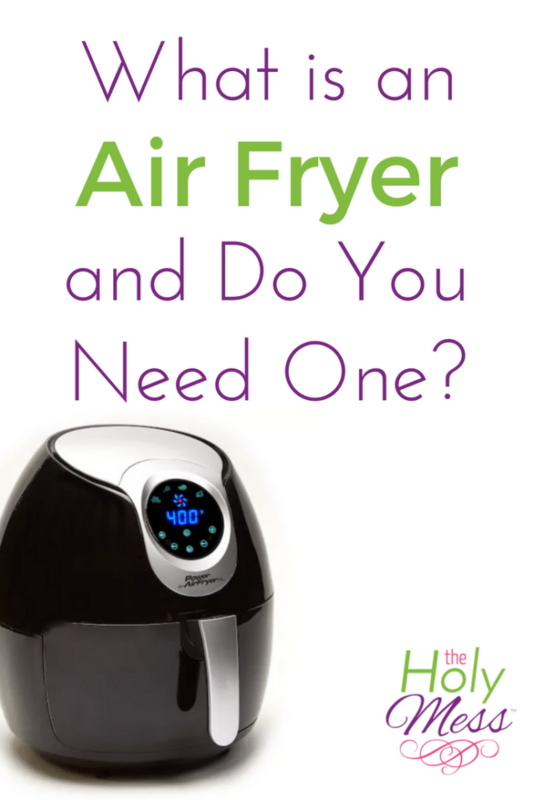 Do You Need an Air Fryer? Cut down on cooking time. 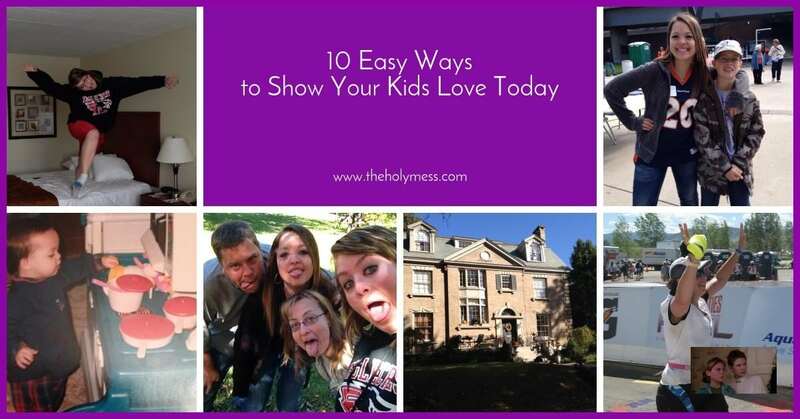 You will love that you can get meals on the table faster than ever before. An air fryer is versatile. 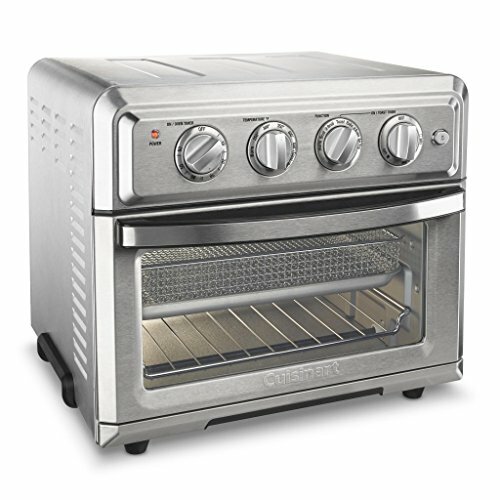 You can roast, toast, fry and even grill in your Air Fryer (depending on model). Easy to Clean. The basket and most of the accessories are dishwasher safe and the non-stick surface is easy to clean. Healthier Cooking. This is my number one reason for purchasing an air fryer. 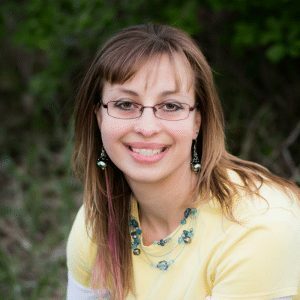 As someone who has lost 100 lbs, I am continually looking for ways to make healthy eating enjoyable and easy. You will love that you can cook some of our favorite food with less oil. It’s a great alternative to deep frying while still getting that crispness. You follow Weight Watchers. I used the Weight Watchers program for most of my 100 pound weight loss and I’m a huge fan of the program. To keep points low but still enjoy the taste of some of your favorite foods, an Air Fryer is the way to go. Keep your kitchen cool. One of the simple but surprising benefits of using an air fryer is that you can get hot, crispy food without heating your whole kitchen. This is a wonderful convenience especially in the summer months. You cook convenience foods. Frozen french fries taste a-maz-ing in these machines. They are way better than oven-baked. Foods like frozen pizza bites or taquitos taste great and are quick to crisp up for a quick lunch or after-school snack. Buy store-made or make your own, but either way these taste great heated in the air fryer. You reheat left-overs. I meal prep and tend to make big batches so I can eat left-overs all week. Foods like grilled vegetables, grilled or baked chicken, fried chicken, and other foods taste much better when reheated in the air fryer vs. the microwave. Air fryers are not for everyone. Here are some reasons why this kitchen gadget might not be right for you. You expect it to taste exactly like fried food. When I first got my air fryer, I set about making a recipe I found online that claimed to make chicken taste just like my favorite fried chicken from a fast food chain. So, ummm…no. It was good but it was no KFC. I was hugely disappointed! I’ve since tried more recipes and found what works with air fryer cooking. These Air Fryer Chicken tenders are delicious, healthy, and way cheaper than anything store bought. I also like these Air Fryer French Toast sticks because you can make a batch and keep them in the freezer for a quick breakfast. You have little kitchen storage space. While not a huge appliance, the air fryer is not small, so consider size if you have limited storage space. You are cooking for a big crowd. While there are some extra large air fryers, if you have a standard size, you will need to cook food in batches if you are feeding more than 2-4 people. The best Air Fryer for you will depend on which Air Fryer feature, capacity, and price meet your needs. Air Fryer prices vary depending on capacity and special features. There are different models, shapes and prices for Air Fryers. Here are some of the top rated Air Fryers. The Philips XL has a 3.5 qt capacity which will feed a family of 4 and it’s food basket is dishwasher safe. 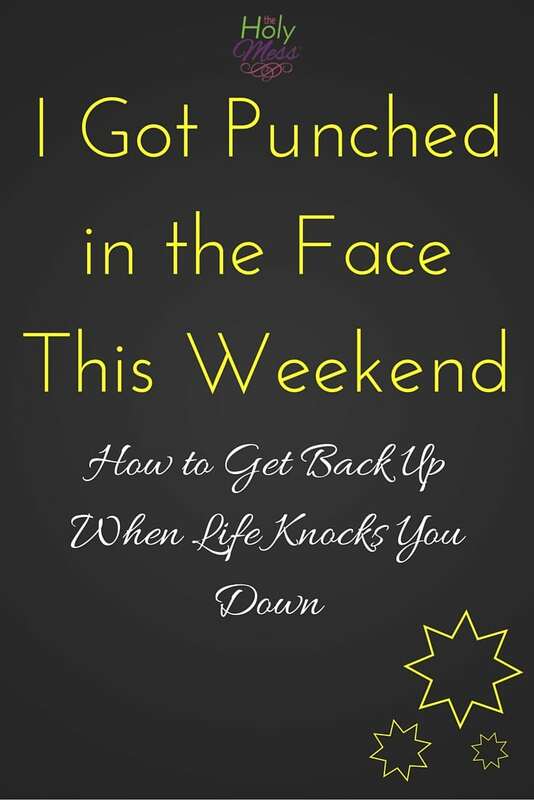 It has 4.5 star rating on Amazon. This one is cheaper than the Philips XL and has a 4 star rating. It has a 5.8 qt capacity making it perfect for a family of 4 or more. This Air Fryer also has a 4 star rating on Amazon. It’s similarly priced to the GoWise Air Fryer. It has a 2-liter capacity, which is around 8 cups. The basket and separator are both dishwasher safe. This Air Fryer is on the lower end of the price range, but still has a 4.5 star rating on Amazon. This one also comes with a skewer and toaster rack. This Air Fryer is huge! It has two levels so you can cook double the amount of food. With a 16 quart capacity you’ll have your whole meal cooked in no time. Cuisinart Air Fryers are considered the Mack Daddies of Air Fryers. If you want the grand champ, this is your guy. 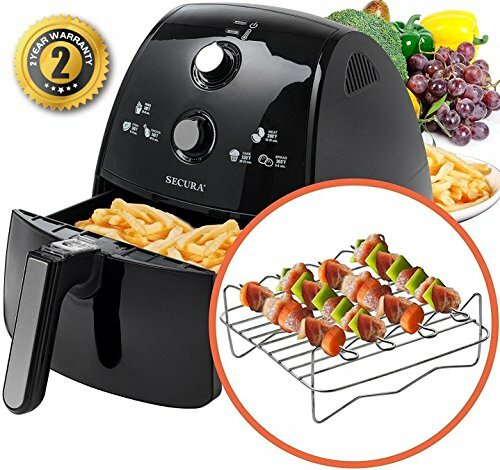 A combination of Air Fryer and toast oven, this machine can toast 6 slices of bread, air fry 3lbs of chicken wings, bake a 12-inch pizza or roast a 4 pound chicken. For real. Check out this Air Fryer review video. What Do You Cook in an Air Fryer? We love our Air Fryer and use it several times a week. Would you like to know some of our favorite family meals in the Air Fryer? Air Fryer Chicken Tenders – This is one of my favorite Air Fryer meals and it is low in Weight Watchers points, too. Make a big batch of these to freeze. They are much healthier and more tasty than store-bought. Air Fryer French Toast: These air fryer French Toast sticks are even better than ones you purchase, and not that hard to put together. Air Fryer Baked Ravioli: This baked ravioli recipe comes out crisp and delicious. Serve as an appetizer, on game day, or with a salad for a satisfying dinner. Air Fryer Coconut Shrimp: Sweet, tangy, and just a bit spicy – this is one of my favorite combinations. All these amazing flavors come together perfectly in Coconut Shrimp. Paleo Air Fryer Recipes: Crispy and Healthy! – All of these recipes use an Air Fryer + fit with the Paleo lifestyle. Should I buy an Instant Pot or an Air Fryer? I’m a HUGE fan of the Instant Pot, which is a modern-day pressure cooker with lots of safety features. 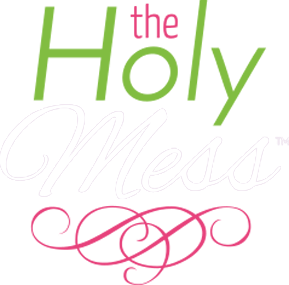 I use my Instant Pot 4-5 times per week. Click here to learn more about Instant Pot cooking. The Instant Pot is great for soups, stews, casseroles, and roasts. (The meals the Instant Pot makes are similar to those you would make in a crock pot or slow cooker.) People even make homemade yogurt and bake cakes in the Instant Pot. The Instant Pot will not make your food crispy, though. An Air Fryer is for making crispy foods similar to deep-fat frying. It can also be used for meats like chicken and hamburgers, but it’s not typically used for making soup or stew. If you can only afford one of these kitchen devices, I would recommend the Instant Pot because there is so much you can do with it and much that is unique. While I do love my Air Fryer, these foods can be made in an oven or toast oven. They might not turn out as crispy, but they will bake. Our family loves cooking with our Air Fryer and we have many family favorites. To see our list of Air Fryer Recipes click HERE. Follow me on Pinterest for more recipes. Follow these guidelines to decide if an air fryer is for you and which air fryer is best for your needs. 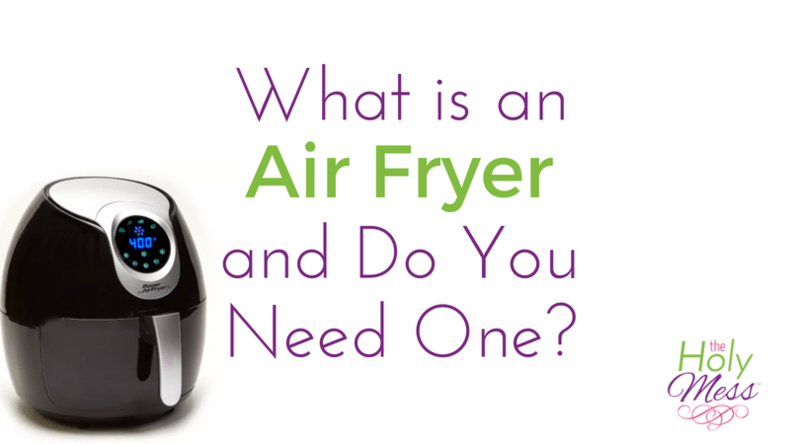 Now that we’ve answered the question, “What is an air fryer and do you need one?” will you be making a purchase? Here is some additional helpful information about Air Fryers. I keep going back and forth — I think it sounds like a great product but I have so many appliances in the kitchen now. And honestly its hard to take reviews like this seriously when there are affiliate links. I am always suspect if I am getting a real review. Yep, these are affiliate links. I never hide or make any apologizes about my links being affiliate links. I have an Air Fryer and I also have an Instant Pot. We use our Instant Pot the most (as I mentioned in the blog post) but we do use our Air Fryer about once a week – more in the summer. I don’t think it’s a necessary kitchen tool but it’s a nice addition to have. If you are really short on kitchen space, I would skip it. If you’ve got the space and like crispy and crunchy food that is low in fat, it would be a good investment for you.